Welcome to our Auberge des Remparts, tourist accommodation - Site de l'Auberge des Remparts ! 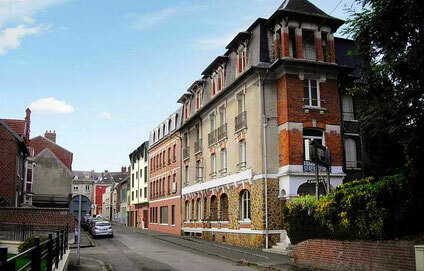 The Auberge des Remparts opened its services in the old Hotel des Remparts, since 2012. Our hostel welcomes groups as well as individual tourists. We offer 24 completely renovated rooms with 118 beds and a dormitory with 19 beds. ...whether you come for tourist, business or school purposes or you are planning a seminar, conference, sports event or family party (birthday, wedding, school groups ...). We offer excellent services and correct prices. 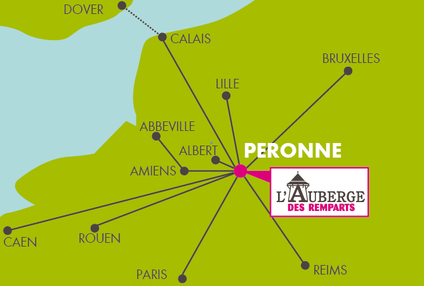 Whether you come on your own, with friends, family or colleagues - the Auberge des Remparts offers affordable acommodation for everyone. The Auberge des Remparts is also a sustainable and responsible accommodation (Low Consumption Building) which has been awarded the labels Green Key, Ethic Steps and Tourism & Handicap. As this name suggests, we offer quality accommodations for individuals and groups, based on a spirit of solidarity and responsibility. An important obligation for us is to assure cultural exchange. This idea lasted for more than 30 years and will also guide us in the future.